On 25 October, the 2017 Work Programme of the Juncker Commission was presented to the European Parliament. 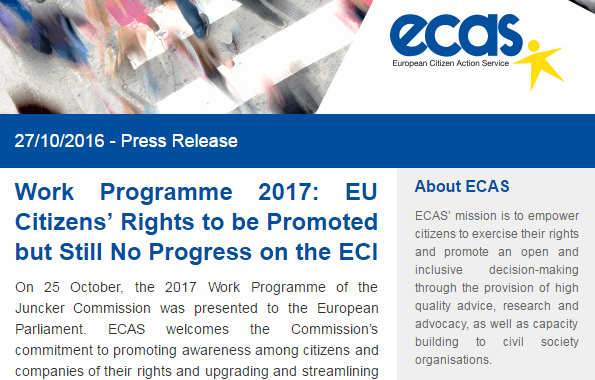 ECAS welcomes the Commission’s commitment to promoting awareness among citizens and companies of their rights and upgrading and streamlining existing problem-solving tools. 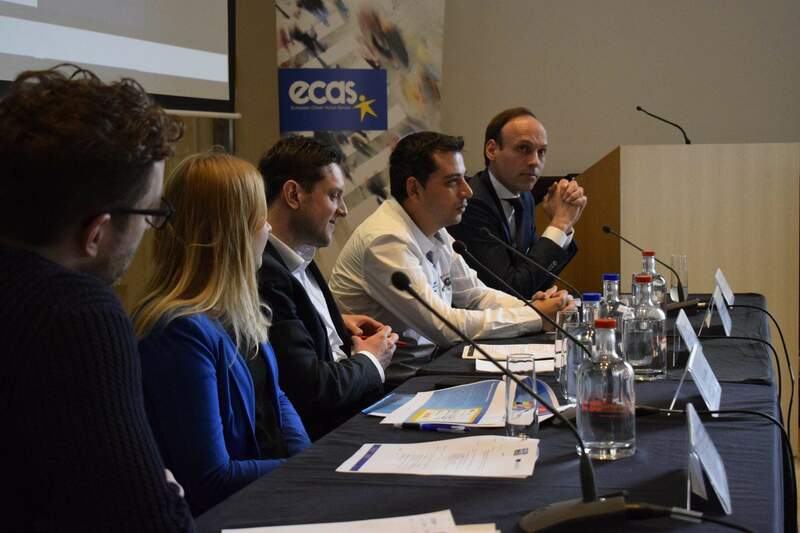 The 20-year-old Your Europe Advice service of the European Commission, proudly managed by ECAS, plays a key role in this respect by answering more than 22,000 requests for legal advice every year from citizens and businesses who exercise their free movement rights in the EU. However, the lack of commitment to revise the European Citizens’ Initiative (ECI) Regulation in order to make it “fit for purpose” is disappointing. 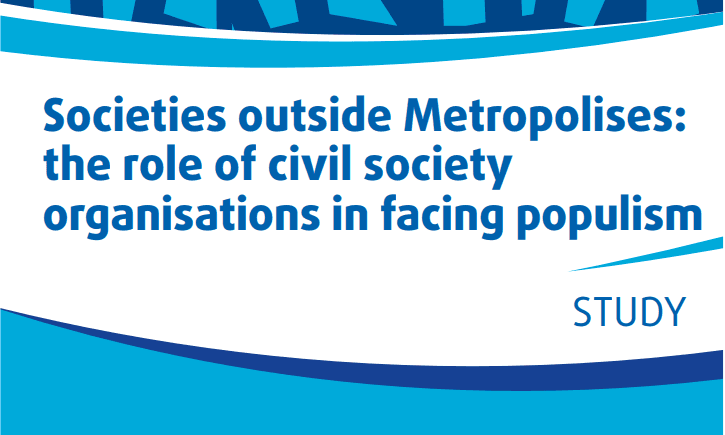 Despite declaring the Commission’s overarching priority to be “A Europe that takes responsibility, listens and delivers”, citizen engagement is notably absent from the 2017 Work Programme. 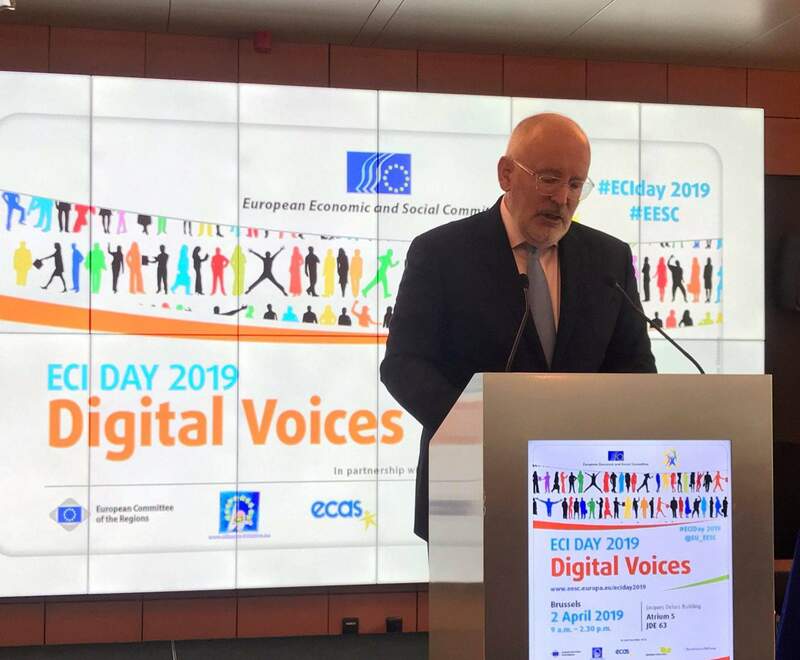 The Work Programme also fails yet again to make the connection between the Digital Single Market and digital democracy, overlooking the great potential that Information and Communication Technology offers for citizens’ e-participation. Instead, it is limited only to the opportunities that digital technologies generate for creativity, business and employment.